The Lions, on the other hand, suffered a 2-1 away loss to Real Salt Lake at the weekend, but the fact that they defeated Colorado Rapids in their last home fixture, is surely giving fans a reason for optimism ahead of the visit of Vancouver. 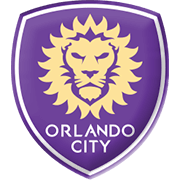 The hosts have been in a much better form of late than the visitors and we believe that James O’Connor’s team are going to emerge triumphant in Saturday’s game at Orlando City Stadium. Vancouver Whitecaps are yet another Canadian side that compete in Major League Soccer. Vancouver began play in the USA top flight in 2011 and one year later they became the first Canadian outfit to book their place in the MLS Cup play-offs. However, star-studded Los Angeles Galaxy proved to be a big catch for the Whitecaps in the knockout round. Vancouver, though, did remarkably well to win the Canadian Championship in 2015, with the team beating Montreal Impact in the title game. In 2016 they made it to the final of the tournament as well, but Toronto FC eventually won the trophy. 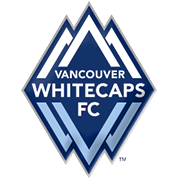 The Whitecaps are owned by Greg Kerfoot, Steve Luczo, Jeff Mallett and Steve Steve Nash, the former NBA star, and they play their home matches at BC Place. Speaking of MLS games, the capacity of the venue is 22.120 and you should know that the stadium was opened back in 1983. The Caps wear white shirts and white shorts when playing at home, while the colour of their away kit is blue.